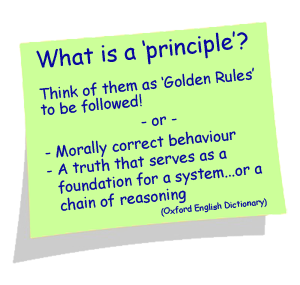 PRINCE2 defines 7 principles which provide a "framework of good practices"
and be used continually throughout a project. 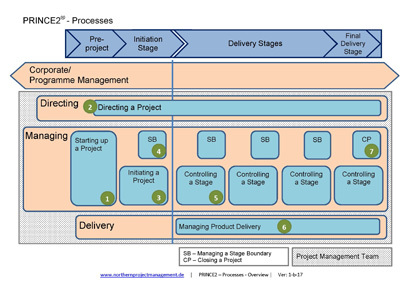 A PRINCE2 project is delivered through 7 Processes. are used to achieve an objective. Think basics - if you have followed a Jamie Oliver recipe then you have followed a process! Each Process contains a range of activities which include things as diverse as creating and updating documents, monitoring and controlling work or authorising plans. For PRINCE2 Foundation level knowledge, the names of the various activities and the order in which they take place are very useful to learn. For PRINCE2 Practitioner level knowledge, as well as being aware of the activities and their order, the names of any documents that are produced or updated should also be familiar to you along with the composition of the key documents. 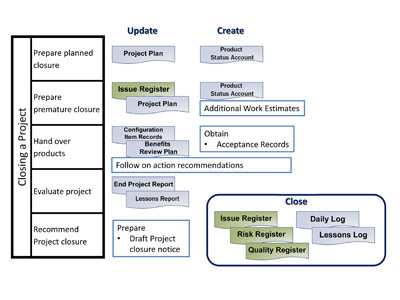 This is when a PRINCE2 project is fully planned; the Starting up a Project process being used to produce only enough information to assess if the project is worthwhile undertaking. For PRINCE2 Foundation level you do not need to learn every detail taking place in the processes - their purpose and when the main documents are produced should be enough. 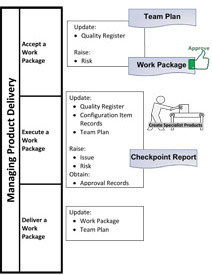 Within a PRINCE2 project this is the process where the Project Manager completes their day-to-day work of planning, monitoring, controlling, delegating and motivating the project team. 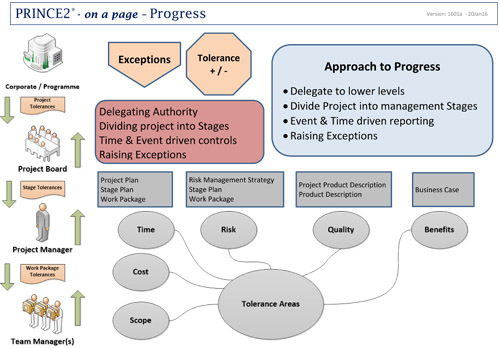 This is the process in which all of the products are produced within a PRINCE2 project. This is the domain of the Team Managers and their teams, physically doing their work to ensure products are made exactly as the customer requested. 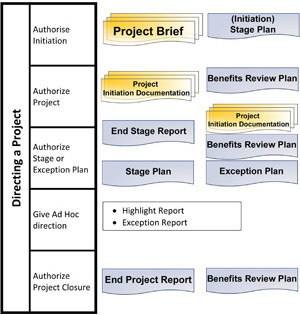 As the name suggests this is the final processes in a PRINCE2 project; this is where the acceptance of the project's products would be acknowledged and provides a defined 'end' to the project. No two projects are the same; projects might be part of a programme or might be part of some corporate strategy. Tailoring is adjusting, or 'fine tuning', the PRINCE2 method in order to adapt it to each individual project being undertaking. 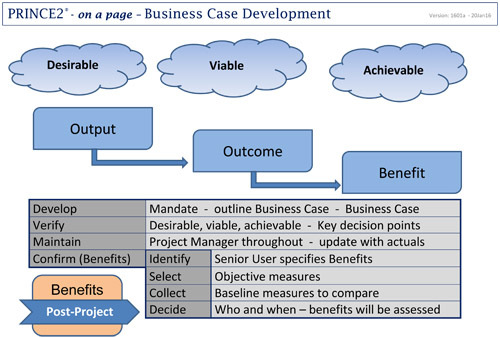 As well as being a Theme, a Business Case is also a PRINCE2 management product (a document) which plays a vital role in the on-going motives and justification for the project existing. 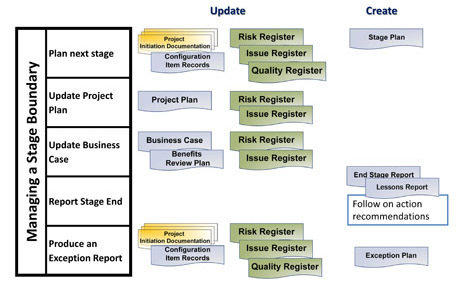 Both PRINCE2 Foundation and Practitioner students require knowledge of the development and maintenance of this document from its pre-project beginnings as a 'Project Mandate', through its development and regular verification, to its ultimate utilisation at the final 'Closing a Project' stage of a project. 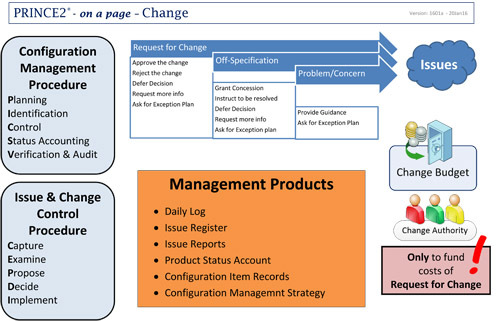 In the Change theme, the PRINCE2 project management method introduces the 2 Procedures of 'Configuration Management Procedure' and 'Issue and Change Control' Procedure. The purpose of these procedures is to ensure that all issues that might arise during the project, and any changes to the project's products or plans that have to be made, are made in accordance with the strategy written and agreed on at the beginning of the project. 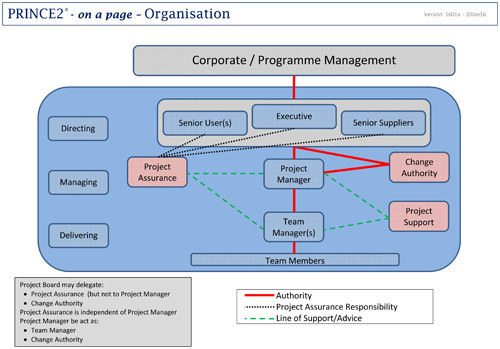 One of the PRINCE2 Principles is 'Defined Roles and Responsibilities; in the Organisation Theme the structure of accountability and responsibilities are defined. 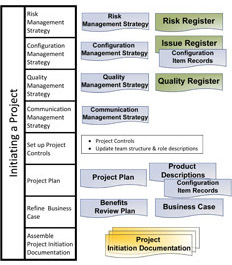 The PRINCE2 Foundation level examination requires knowledge of the responsibilities and characteristics of each role within a project while the Practitioner level adds the composition of the Communication Management Strategy and how the levels in the management structure apply to the process model. Good planning is essential. Everyone involved in the project must know what the product is, how the result will be achieved and who is responsible for delivering the project's products. PRINCE2 is known for its 'product-based approach' to project management; putting the product at the forefront of planning. The purpose of this theme therefore is really defining: where, how, by whom and how much! 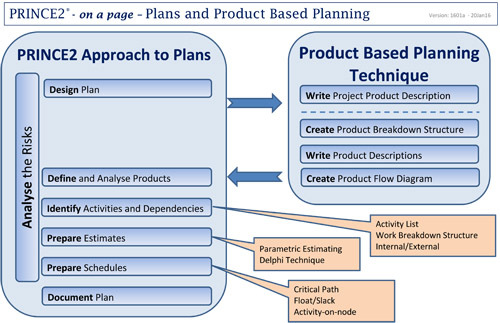 PRINCE2 describes in detail one of the techniques involved within the Plans Theme; this being 'Product Based Planning'. 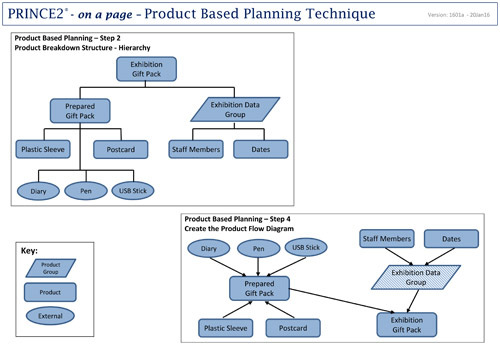 This is nothing more than a logic progression through several steps to obtain both flow charts and diagrams in graphic form and also well written plans for every stage of the project as well as clear Product Descriptions. 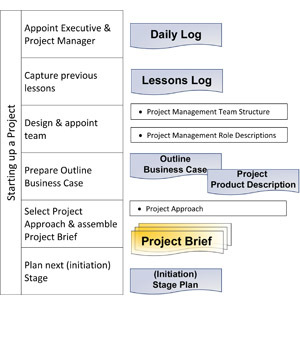 At the Foundation level the different levels of plans must be known by students, while Practitioners are expected to know the composition of some key documents and be able to identify responsibilities within the Plans Theme and whether the 'Product-based Planning Technique' is being used correctly within the project. Are we on time or behind schedule? How much of the budget remains for this stage? Is the project worth finishing? 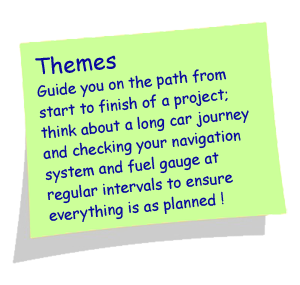 All these questions, and more, are answered in the PRINCE2 Progress theme. This theme, with the aid of the 2 Principles 'Manage by Stages' and 'Continued Business Justification', aims to keep the project on track by comparing 'actual achievements against those planned'; or in easy to understand language "where are we and where should we be". Focusing on the product and ensuring that the project's products are 'fit for purpose' is the purpose of this theme. Delivering a product on time and within the budget is of limited use when the product is not quite what the user wanted! The PRINCE2 approach to quality is to focus on the product from the beginning of the project by identifying all the project's products, defining them clearly and ensuring all quality methods are undertaken. 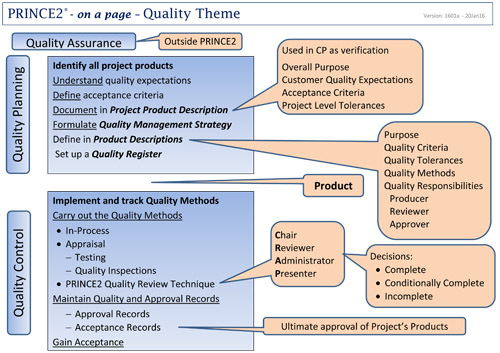 Within this theme the PRINCE2 technique of 'Quality Review' is a core element. Nothing in life is 100% certain; to cover the 'uncertainties' that may/might/will occur requires the project to have a systematic approach to risk management. 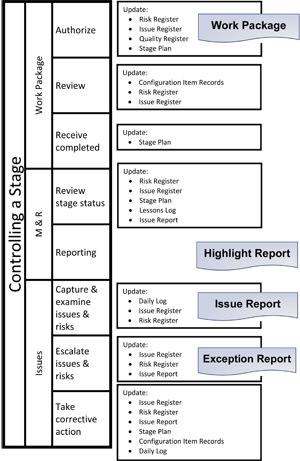 PRINCE2 achieves this with its 'Risk Management Procedure' - a 5 step path form identifying and accessing risks through to planning responses to each risk and implementing the response should anything occur. 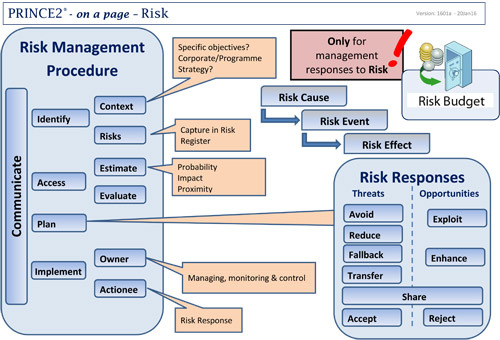 PRINCE2 Foundation students need to be aware of the steps in this procedure, the correct method of describing risk and the use of a risk budget. Practitioner level knowledge includes, among other things, the structure and usage of the various Risk Register and Risk Management Strategy documents.